I've played guitar for nearly 20 years. 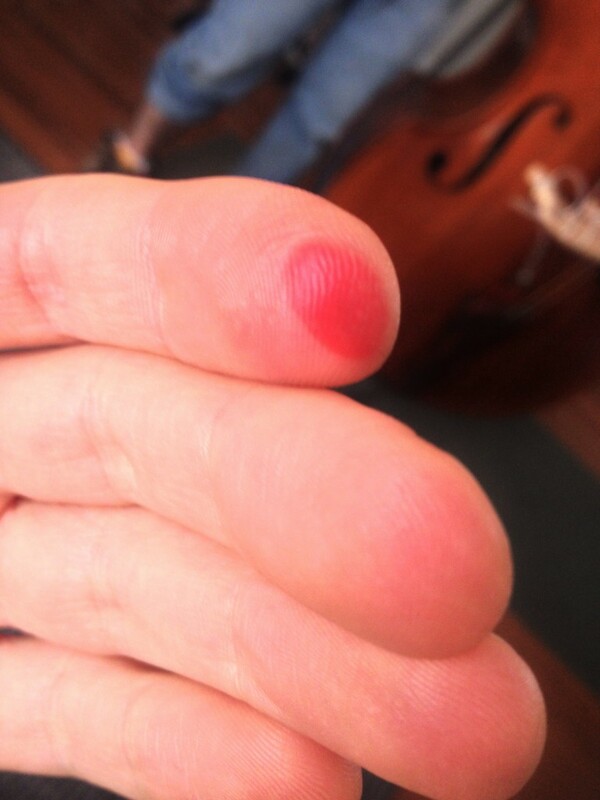 Haven't had a blister this good since I was learning how to play, and definitely not one that filled with blood like that. 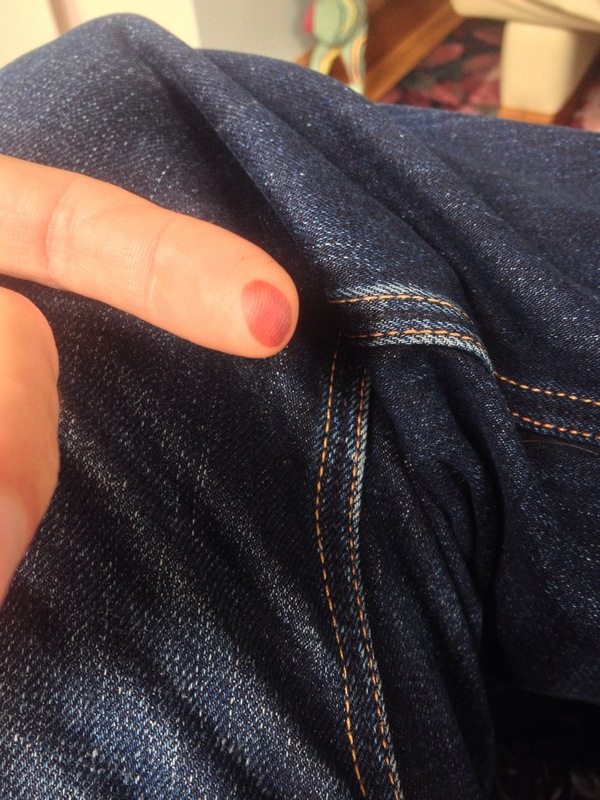 The watery blister part subsided, but the blood darkened. It looks like I dipped my pointer finger in ink or something. I think this is perhaps karmic retribution for the new song I was working on with Inky Shadows. Today I realized it's a far too obvious, though genuinely subconscious rip of the beginning part of Goran Ivanovic's Svatbarska Racenica. A song that everyone would immediately recognize, I'm sure. Fair enough fate. I'll rewrite it.